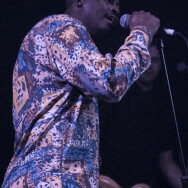 My first gig since moving back to the UK from Norway sees me stepping into Manchesters Gorilla venue to catch Adio Marchant, better known as Bipolar Sunshine, use his hometown advantage to launch himself further into the record charts. 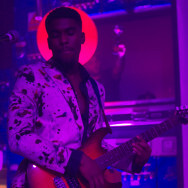 Bipolar Sunshine has gained a huge amount of traction in the last year, which is incredible considering that Adio’s former band, Kid British, played their last gig in Manchester in December last year. 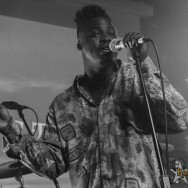 This year, and the last 6 months in particular, has seen Bipolar Sunshine track “Rivers”get selected as iTunes Single of the Week, release multiple videos and release the “Drowning Butterflies” EP. 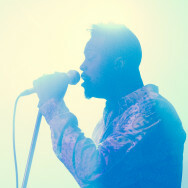 To cap it off his tune “Love More Worry Less” has been getting a lot of radio play and was just selected as one of Zane Lowe’s 100 Hottest Tracks of 2013, beating artists such as Kanye West to the list. 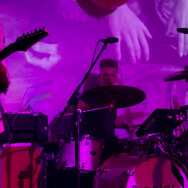 The Gorilla crowd is comprised of former Kid British fans, those that have heard him on the airwaves and a large number who have seen Bipolar Sunshine previously in supporting roles and come for more. 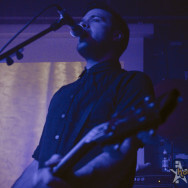 This makes for a receptive crowd who cheer loudly as Adio takes to the stage and they all join in with the first track “Drowning Butterflies”. The acoustics at the venue aren’t that great unfortunately but this doesn’t dampen the vibe of what will surely prove to be the core fanbase. 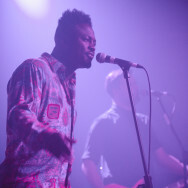 The gig is a great successes and you can clearly see Adio and the band are having a great time up on stage. The highlights coming in the form of the better known tracks “Fire” and “Rivers”. The night ends on “Love More Worry Less” and a big crowd singalong. Bipolar Sunshine leave the stage with big smiles and high fives. 2013 was a great start but I hope you all get a rest over Christmas, it looks like 2014 could be a busy one good luck guys! If you want to vote for Love More Worry Less to be the Hottest Song of 2013 you can vote here. Listen to “Love More Worry Less” right here.